Natural and engineered stone are by far the best building materials on the market. Period. 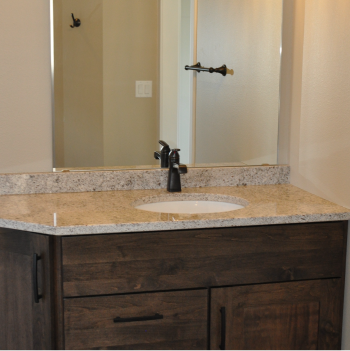 Stone countertops are built to last, which is a great because stone has never gone out of style. Here’s how we can bring your home into the modern stone age with Northern Stone. 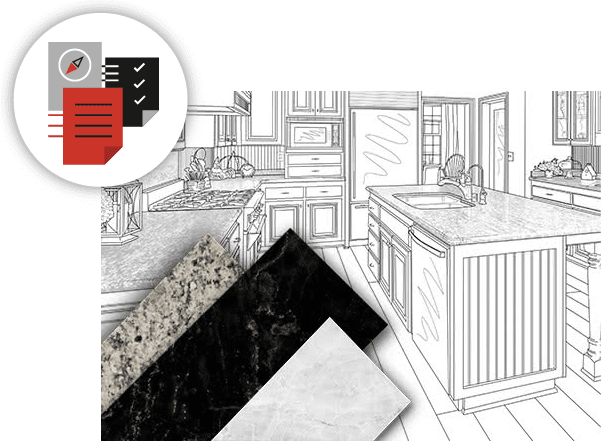 You’ll work with sales designers that know about countertops that are ready to help you choose the best material for you. They help you understand the benefits of each material and which material would be your best fit. 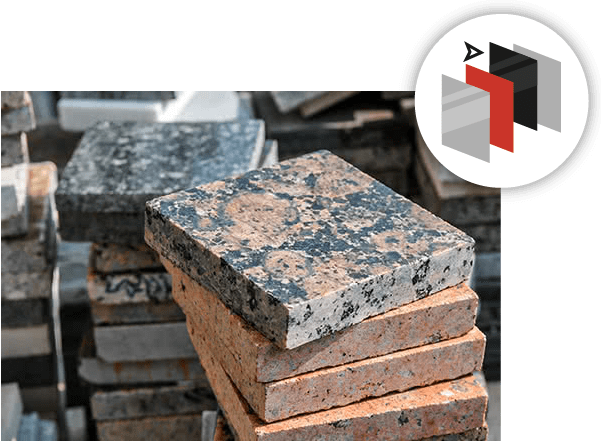 What are the benefits of granite? What are the benefits of quartz? Which material fits your budget? They will help you understand the options and how to care for the materials you are looking at. Work with a sales designer in our showroom to choose a color of quartz or granite. They can help you coordinate the countertops with your cabinets and surrounding material selections. If you have hired a designer or builder we will work with them and make sure all of the details are covered. If granite is the choice you’ve made you will look at full slabs of material to make your selection. This will give you the best look at current slab color and movement. If quartz is what you prefer we have a great selection of colors and patterns in our showroom to view. 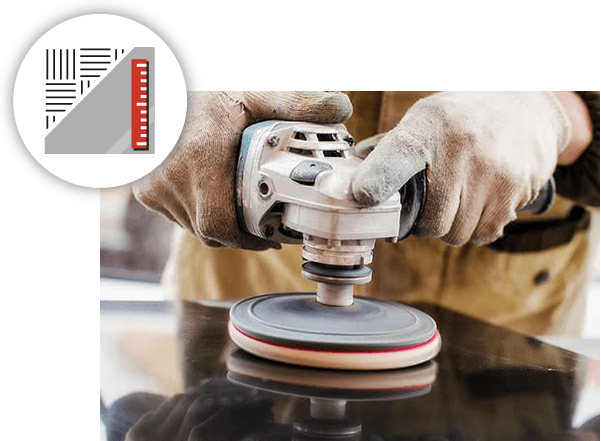 Detailed laser measurements will be taken to provide the most accurate fit for your new countertops. We double check the details including edge profile, angles, sinks, faucets, overhangs, supports and even the backsplash. Those measurements are fed into our CAD based equipment to get the most accurate fit. 1. Clear off the countertops so we can get clear and accurate measurements. We take these measurements back to the shop and prepare them for fabrication. 2. What overhangs will you want? We go over what the maxes are for the material you have chosen and what kind of support may be needed. We will also go over the corner details to determine whether you are looking for 90 degrees or a softer traditional curved edge? 3. Faucets need to be purchased ahead of time. How would you like them positioned? 4. Sinks needs to be purchased ahead of time if we are not providing them. We need to know the brand, model number, and style. (ex. Ruvati, RVM4300, Parma Stainless steel 50/50) If you have purchased the sink we may bring it back to the shop to ensure accurate measurements. 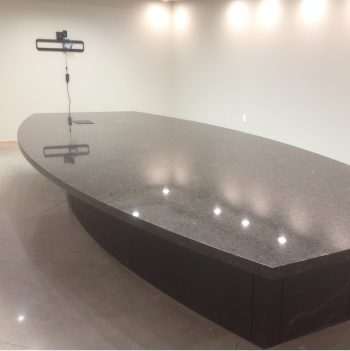 We offer stone countertop installation for homes and businesses of all kinds. 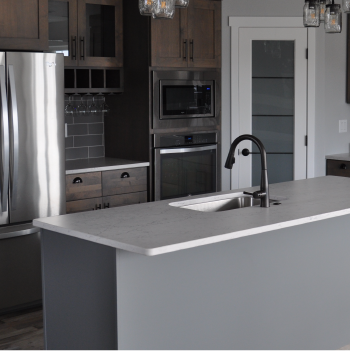 Installing stone countertops is a solid long term investment for kitchens, bathrooms, reception areas, bar tops, or anywhere you want to add an aura of luxury and class. Get a quick project quote today!